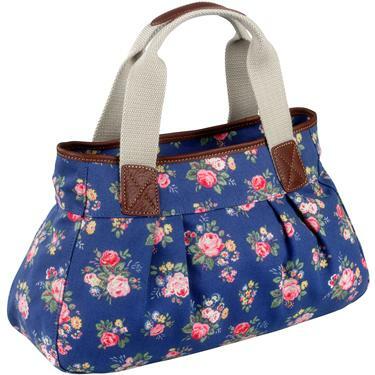 Home » bags » I want you, Cath Kidston! I was waiting for the train's arrival when I saw this bag from a fellow female passenger. 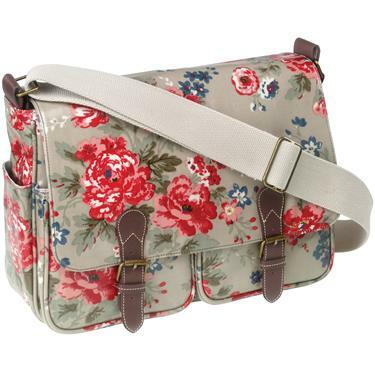 It was a satchel made from a cloth with pretty floral prints. But what makes the bag different was its plastic like coating. The tag of the bag reads, Cath Kidston. I know the brand now so I have a lead. This will be my mission this morning. 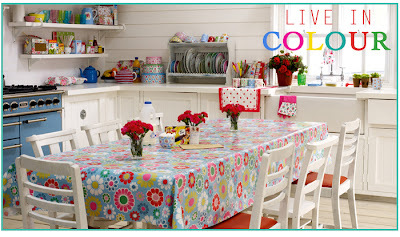 I googled Cath Kidston and I was directed in this site. 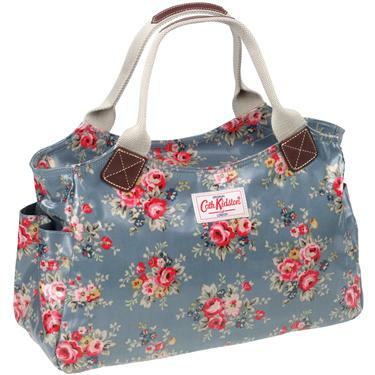 I thought that Cath Kidston was all about bags. Upon reaching the site, I learned that they sell almost everything. They have accessories, clothing, fabrics, and even stuff for kids. 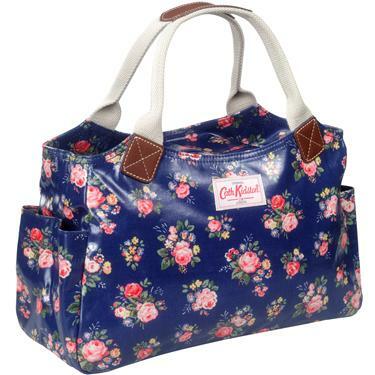 My ultimate Cath Kidston dream bag! My favorite color is blue and I am not a big fan of color pink. So I see girly pieces with a touch of blue as a piece of heaven. If you would take a closer look of their bags, you can somehow see a plastic like coating. Upon interenet research, I learned that the bags were coated with "oil cloth." Not all people may share the same interest with me over these oil coated bags. For some, it may look awkward. But what I appreciate about the oil clothing is the protection it gives to the bag. The oil coat makes the bag like water proof and less prone to all those dust and dirt. Aside from, the bags, I found these lovely stuff too.. I'm happy to discover Cath Kidston. But the sad and disappointng reality is... it's impossible for me to own at least one of them. 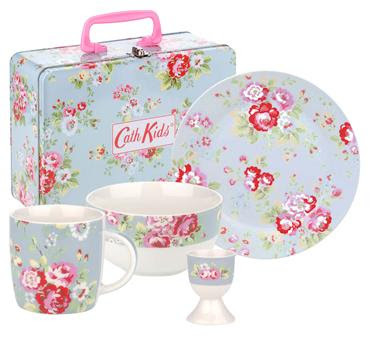 Cath Kidston only sells in UK, USA and Japan. They sell online but I'm very reluctant to try it. I never tried to buy anything online through credit cards. I've heard a lot of horror and traumatic stories from my friends who once tried online purchases. Hidden charges and identity theft, you know. Though I am really tempted to try. I read in the Female Network Forum that the ever luxurious Rustans Department Store sells some Cath Kidston products, but no bags. Accessory Lab at Rockwell sells a few bag pieces according to some sources. But as expected it is just so expensive! A piece solds an average of Php 4,000 (around $100). No way! Disclaimer: All photos used in this post were obtained from Cath Kidston's site. Cath Kidston is very popular here.I look to her items for inspiration rather than buying anything. Most items I can make myself :)I do love the florals and shabby chic style! If you have a follower in Seattle, I think she has a store there. :D I like her style, too. I like ur product tooo muchhh as I 'm floral fan.